Sixt rent a car has several locations in Bologna where you will be able to get a hassle free car rental. We also offer a large selection of rental cars to choose from in Bologna, if you are looking for a van, SUV, convertible or sports car Sixt has them all at an affordable rate. Our team is looking forward to handing over the keys to your rental car in Bologna! A road trip through this amazing area can be provided for in perfect detail by the full range of premium services on offer. Holiday-makers keen to rent a car in this ancient and inviting city can be well catered for. The chance of holiday driving in a glamorous Chevrolet or stunning Mercedes-Benz can be a distinct possibility! The more family-friendly option of an SUV or station wagon is also available. A group that chooses to rent a car in Bologna can drive to the city's top attractions in style and comfort. The historical architecture of Bologna Cathedral is just one of the must-sees. The iconic ancient two towers of the city center are also well worth visiting. 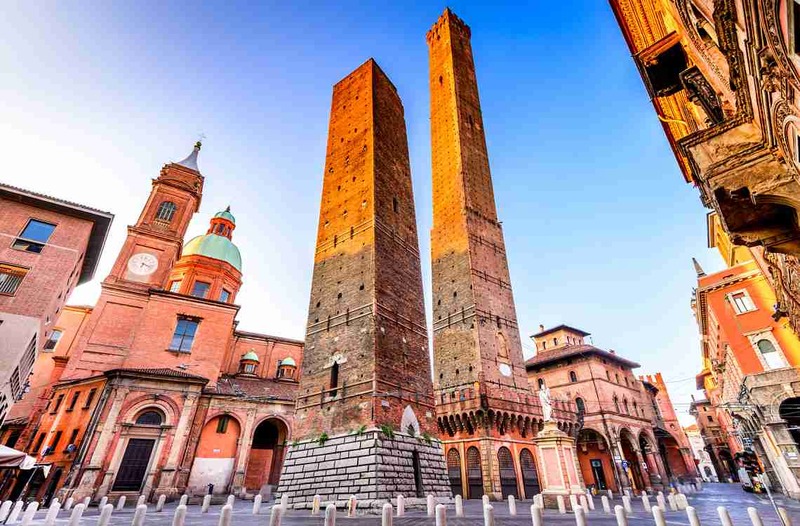 Traveling groups eager to take in the famous Bologna art and music scene can drive up to the city's north west quarter to experience this thriving cultural center. Here interested guests can partake in a wide range of artistic, cinematic and musical activities in Italy's newest creative quarter. With a car rental in Bologna it is also distinctly possible to explore the beautiful surrounding countryside. From mountainous valleys and verdant wooded areas, everything can be perfectly accessible with the right deal from a trusted rent a car in Bologna provider. By making use of a comfortable and reliable service of rental agreement, every traveling group can experience the best of this fascinating city. Do things the Italian way with Sixt!